Are you looking to improve Professional Development this year? The key is planning PD sessions that are meaningful and will ultimately impact both teachers AND students. 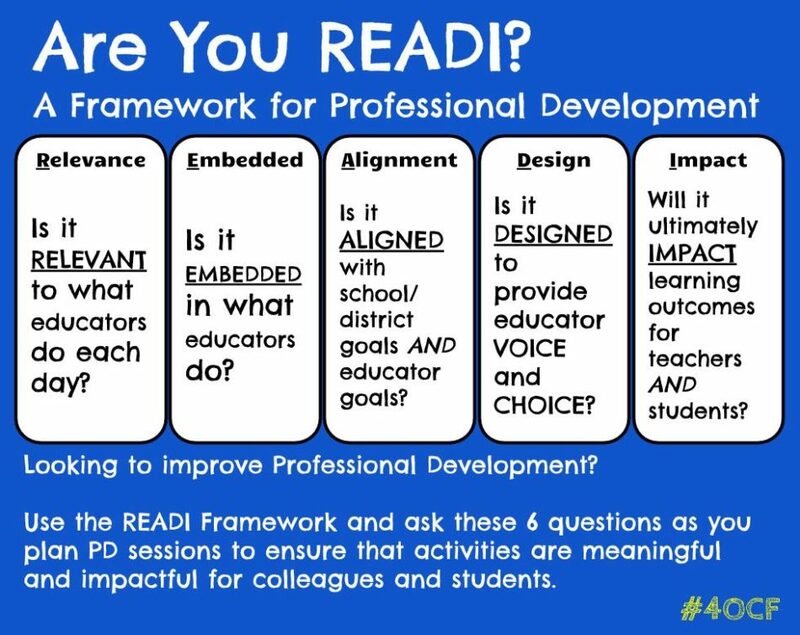 Use the READI Framework to help you as you plan your next PD day or session. Ask the 6 questions to determine if your scheduled Professional Development will have the impact you are looking for. Looking for more ideas to improve Professional Development in your school or district? Check out The Four O’Clock Faculty: A ROGUE Guide to Revolutionizing Professional Development!